To resist the fate of an overfished, barren ocean in the future, by proving that dedicated action can reverse the course of environmental and human tragedy. 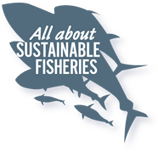 Giving a voice to the voiceless; ensuring that humanity has a future where children have food and fishermen have jobs, by restoring ocean ecosystems to their full biological capacity. Creating new information and filling knowledge gaps about ocean conservation and the marine world by carrying out scientifically rigorous research. Assisting Hong Kong’s progression into a future of sustainable oceans and fisheries by working with governments in establishing and enforcing marine policies. Engaging the public through creative media to spread the word about our work, and restoring a sense of personal responsibility to marine conservation in all levels of the general public. Bringing knowledge of the many problems and solutions to ocean conservation issues, both local and global, to people, both local and global.